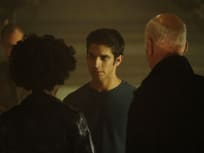 On Teen Wolf Season 6 Episode 19, Argent searches for an old friend in Brazil, while Scott and Malia try to learn how to fight without using their eyes. 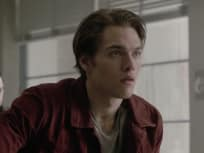 On Teen Wolf Season 6 Episode 18, while the boys try to identify the anuke-ite's other face, Lydia and Malia try to get answers out of Halwyn, the hellhound. 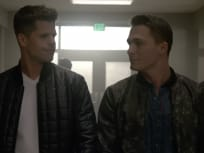 On Teen Wolf Season 6 Episode 17, Scott and Malia work on recruiting familiar faces to join the fight, and the pack makes a discovery regarding the akue-ite. 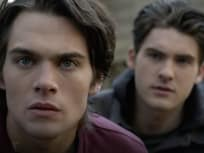 On Teen Wolf Season 6 Episode 16, Liam and Theo lure the hunters away from Beacon Hills, while Scott, Malia, Lydia, and Argent break into Gerard's bunker. 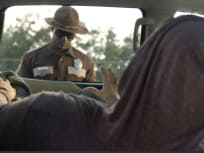 On Teen Wolf Season 6 Episode 15, when two werewolves are arrested, Monroe and her band of hunters surround the Sheriff's station, demanding their release. 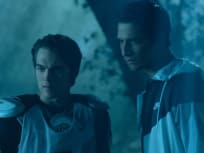 On Teen Wolf Season 6 Episode 14, the school turns against Liam, and Scott, Lydia and Malia try to make peace with Gerard before a war breaks out. On Teen Wolf Season 6 Episode 13, Lydia has another premonition, and Scott leads the search for Brett, who's currently wounded and trying to hide from Gerard and Monroe. On Teen Wolf Season 6 episode 12, Scott and Malia turn to Argent for help after uncovering the silver bullet casing with the fleur-de-lis stamped on it. 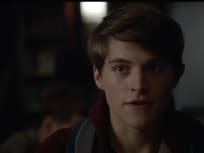 On Teen Wolf Season 6 Episode 11, as Scott, Malia, and Lydia prepare to leave Beacon Hills for college, but, of course, something sinister pops up. It's OK. It's OK, it's OK. It's OK, it's perfect. I'm in the arms of my first love. The first person I ever loved. The person I'll always love. I love you, Scott. Scott McCall.